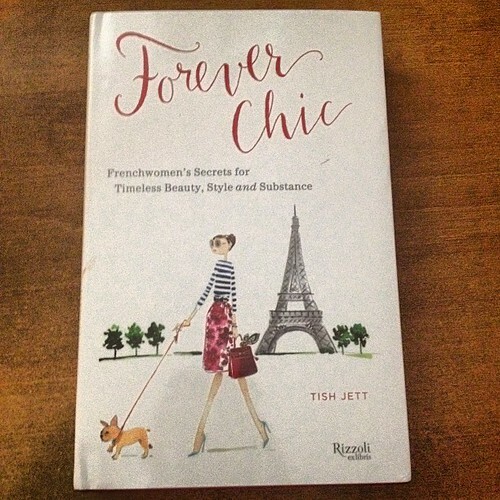 The French Chic group I belong to decided it would be fun to do an online book club. As we were discussing which book to read first one of our members humbly mentioned that she had a book coming out. Parfait! Several of us pre-ordered and it began shipping this week. I received my copy a couple of days ago and I’m really eager to begin reading it. We will probably cover a chapter a week and my plan is to share some highlights here on “French Fridays”. If you’d like to join in, you can order your own copy here. It’s available in hardback and Kindle versions. I have a Kindle but I opted for the hardback so it can take its place amongst my collection of French-themed books. I’m so glad I did because it’s absolutely gorgeous with quality binding and darling illustrations. You should also check out Tish’s blog, A Femme d’Un Certain Age. Check back next Friday for the first chapter of “Forever Chic”. Bonsoir, mes amis! Looking forward to your posts on Tish's book!